ATLANTA The last quarterback to have a winning record for the Browns since their return in 1999 will suit up behind Tom Brady for Super Bowl 53 on Sunday. Before playing in his third Super Bowl, Cleveland native Brian Hoyer was able to reflect on his time before Foxboro. 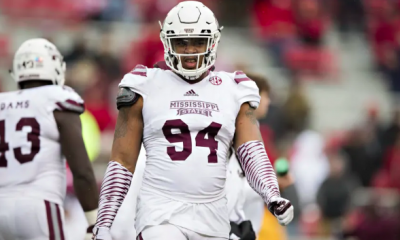 It’s a journey that dates much longer than his time at Saint Ignatius High School, his college career at Michigan State, being drafted by the Patriots and even his time with his hometown Cleveland Browns. Hoyer remembers suiting up as a young boy on Saturdays to play flag football at the Westlake YMCA. 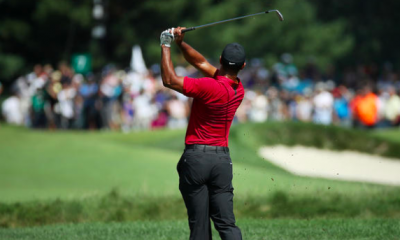 He remembers wearing youth-sized Bernie Kosar jerseys, playing football with his buddies as the snow fell in the backyard of his westside suburb of North Olmsted home. 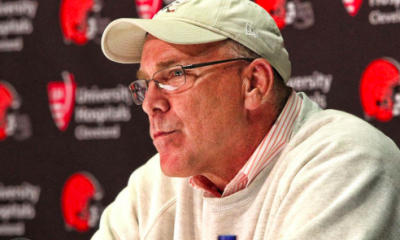 His family religiously visited the old Cleveland Stadium to watch the Browns play. Hoyer remembers their seats being in the upper deck, where the steel beams sometimes obstructed his view at certain parts of the field. He vividly remembers the first time he watched the St. Ignatius Wildcats play. 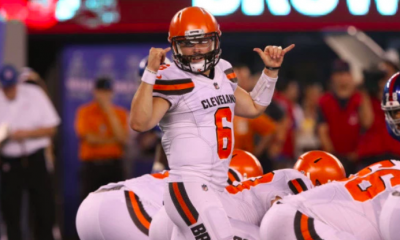 “They were playing Canton McKinley in the Akron Rubber Bowl and I remember seeing like 30,000 people there for a high school football game and I was like oh my god this is where I want to go to high school,” Hoyer said of his first time watching the Wildcats. His dream would come true as the Lakewood native would become the starting quarterback for Ignatius High School, whose campus sits in the shadows of downtown Cleveland. 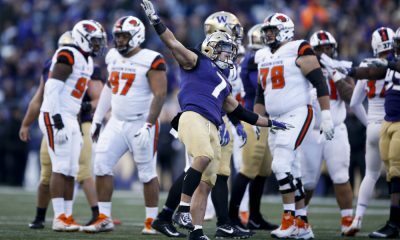 Hoyer had too many great football memories with the Wildcats to fathom. From beating Saint Edward as a starter both years he played them to winning a state championship as a backup quarterback in 2001, Hoyer’s vivid memories of Ignatius is where he really solidified his Cleveland roots. “The one thing about Ohio is that we love our football,” Hoyer said. Of course, he remembers his first start with the Cleveland Browns. 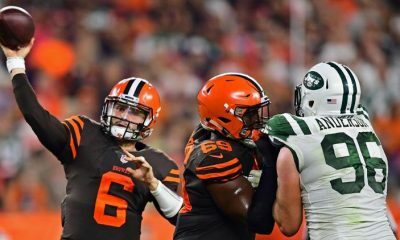 It happened on the road in Minnesota, where Hoyer, the third-string, surprisingly got the starting nod instead of the experienced Jason Campbell. For Hoyer, though, it was his first start at First Energy Stadium that really resonates in his mind. 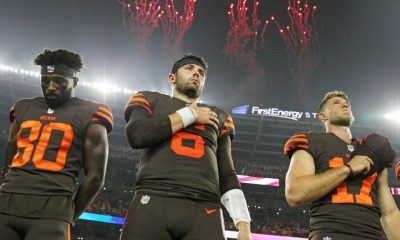 It was a close win against the Cincinnati Bengals, and it was something that Hoyer had dreamt of throughout his youth. 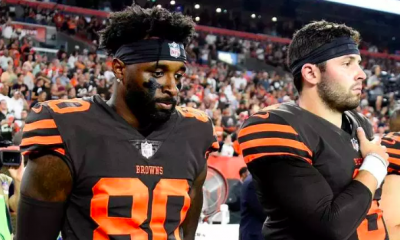 Although Hoyer’s time in Cleveland ended amidst his contract expiring at the end of the 2014 season, he says his time in Cleveland is something he will cherish forever. 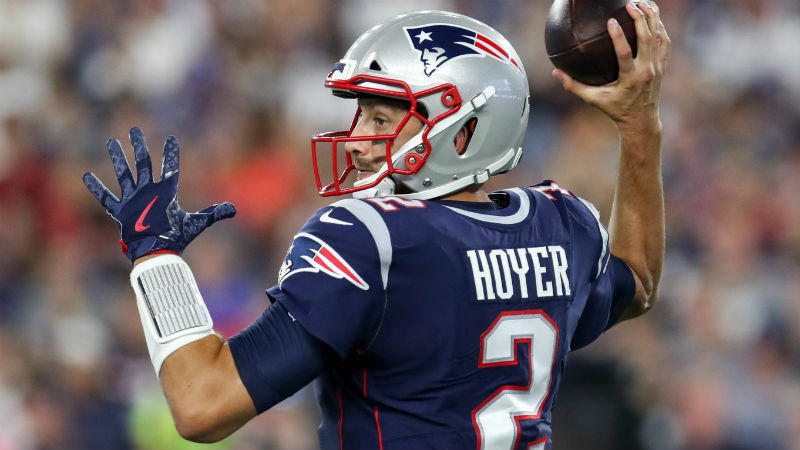 For the Patriots, if everything goes according to plan, Hoyer will probably not see any playing time in Super Bowl 53. Regardless, he will have a chance to record the first Super Bowl win of his 10 year career. Being in New England as a Patriot, Hoyer enjoys using downtime to talk to head coach Bill Belichick, who coached the Browns from 1991 until 1995, about some of the football players he once looked up to. “Like, hey, what was Eric Metcalf like? Or hey, what was Eric Turner like? Just to get this inside information about my childhood favorite players is really cool,” Hoyer said of his conversations with Belichick. 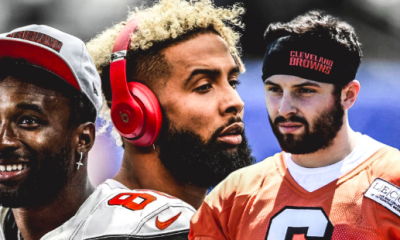 Hoyer, now 33 years old, wouldn’t comment on if he could ever see himself wearing a Browns uniform again as his current mission is to beat the Los Angeles Rams. He will become an unrestricted free agent in 2020. Maybe it’s more than a dream…. ?